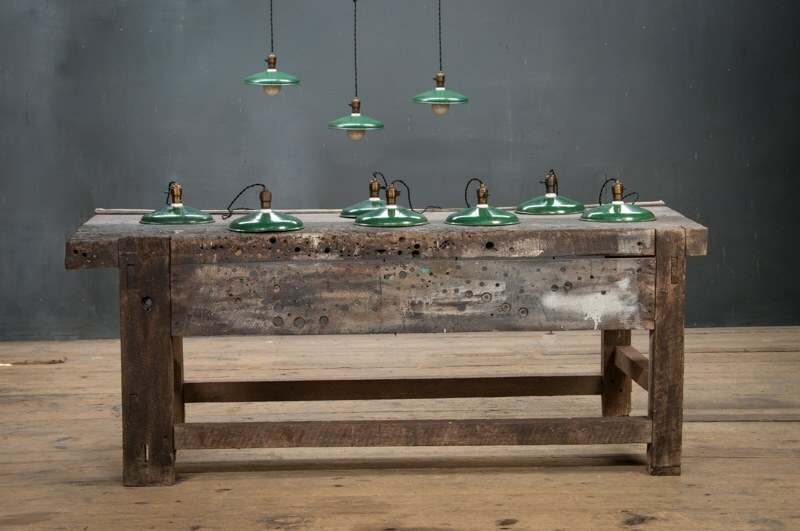 France, 1940s, Vintage Industrial Rolled Edge Saucer Pendant Lights. 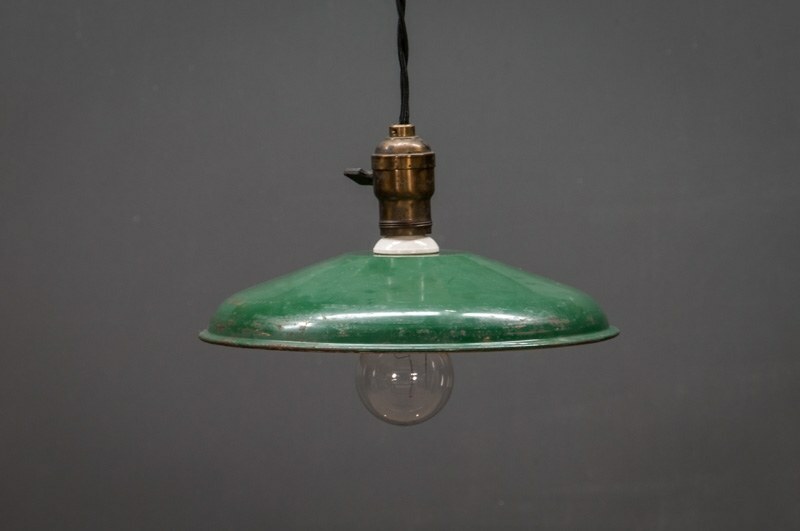 Well Worn Green Enameled Coated Steel Shades with White Undercoating. Fully Rewired with 3' Black Twisted Cloth Cord and Early Brass Edison Sockets. 8 Available.